Developing great studying skills should start at an early age. But, if you feel your habits are lacking, then it’s never too late to start working on them! Whether you’re in high school or in university, we’ve got some great tips for you. We’ll start with high school tips and then move on to college ones. We’ll then take a look at specific tips to target topics such as cramping and improving memory and also focus on subjects that most students have issues with so that you know your options. Feel free to skip straight to your relevant section, but keep in mind that a lot of the tips are useful no matter which level of education you’re going through. We’ll also wrap up this article with a guide on starting your own study group! 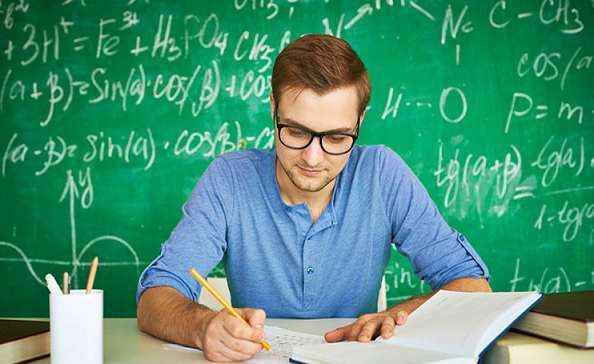 Let’s begin by taking a look at some ways to develop study skills for high schoolers. As you begin your high school career, all of a sudden, grades become very important. Not only do they show your mastery of a subject and bring you pride, they also have a direct bearing on your opportunities to attend prestigious colleges and universities. College may still seem like it’s a long way off, but students who learn how to study and earn good grades early in their high school careers will have an easier time achieving the successes they want later. Not only will they gain entrance to the best post-secondary institutions; they will also have learned the discipline and focus necessary to succeed in many walks of life. You, too, can be one of the successful students whose report card features lots of As. It won’t come easily, but the rewards will follow you throughout your life. It’s not a function of being the smartest kid on the block–you’ll get results from being one of the most dedicated. Here are some useful tips to help you develop study skills for high school students. Then you can be sure that you’re on the right track to learning and studying success. Choose With Care: As you select your high school classes, be sure to include lots of the three core subjects that will help you later in life: English, math and computer science. The skills taught in these courses are building blocks for future success, so take as much math as possible; learn grammar, spelling and essay writing. You should also understand both basic programming and computer usage skills. Pick Your Spot: Sit near the front of the class. It’s where the action is. Sitting near the teacher makes it necessary for you to remain alert and take part in the discussion. You’ll get more from the classroom experience if you’re involved. Take Notes: It has been shown that taking notes helps students retain information better, and handwritten notes have an edge over online notes as a learning tool, oddly enough. Be Present: Don’t miss classes. During each class, the teacher discusses topics he or she believes is important for you to learn. By being there, you’ll be aware of the most critical information – the ideas that will resurface on your tests. It’s not something your reading assignments will tell you. You may grasp what you should be doing in class but how should you go about studying properly when you get home or when you get off class? Take Time: Successful students set aside time each weekday for studying and homework and they stick to it. There’s no one-size-fits-all rule about choosing a study time. The key is to select a time when your mind is alert. If that’s early in the morning before breakfast, that’s great. If your mind is more receptive late at night, that’s okay, too. Claim Your Space: Try to find a space that you don’t use for any other purpose than studying. Once you sit down there, it’s a signal that it’s time to focus and get serious. This space could be anywhere: a desk in your bedroom or a carrel in the public library. Pens at the Ready: Make sure you always have the necessary supplies at hand so that you don’t waste time each day searching around for paper and pens for note-taking. Even if you don’t have a permanent place to study or must leave home to do so, have a compartment or two in your backpack organized with the study essentials. Homework Helps: Homework isn’t simply the teachers’ attempt to torture you. They want to give you assignments that reinforce the lessons from class, get you excited about the subject and expand your knowledge of the topic. Doing your homework will ensure that you are prepared in class and understand the subject. Notes Now: It’s never too early to begin preparing for an eventual exam. Get a head start on studying by regularly reviewing the day’s notes from class. The material will begin to stick and you’ll find the subject more meaningful. Exceed Expectations: Challenge yourself and absorb more of the subject matter by going above and beyond the assigned work. If your teacher assigns five math problems, do 10. If the reading assignment calls for 20 pages, read 30. You may get caught up in the joys of the subject material in the process. 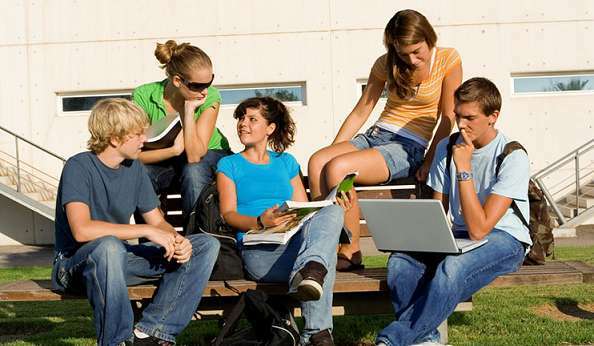 Study Sessions: Find or create a study group of like-minded classmates for a weekly meeting. A group of students working together brings a variety of perspectives and ideas together for solving problems or reviewing materials, and it also has social benefits. This is a tip to improve on your study skills for middle school while also helping strengthen the bond with your fellow classmates. If you follow these suggestions, you’re sure to have success in high school. The good habits you develop now will also serve you well as you move on to university, college and the working world. So the academic year is off and running, with papers and assignments looming large on each university course syllabus. As a student, you may find it challenging at first to budget your time accordingly to meet these homework deadlines. It is an adjustment to realize that no one but you is monitoring your work habits and output and that you alone are responsible for meeting deadlines. As you turn your attention to these projects, exams probably aren’t top of mind. After all, they happen later in the semester, so why worry about them now? However, if you don’t want to find yourself putting in an all-night study session prior to each of your exams, it’s worth considering your approach to preparing for them now, rather than later. Here are some study tips for college to give you a helping hand as the exam date approaches. Start preparing now. Preparation for exams starts the moment you walk into class on the first day. Listening to the lectures, taking notes and noticing what the professor emphasizes is part and parcel of absorbing the information with which you’ll need to be familiar with come exam time. It’s never too early to start is one of the best study tips for finals that you can get. Keep pace. Don’t give in to the temptation of procrastinating on your written assignments or your reading, because it won’t be easy to catch up as exam time draws near – nor will you absorb as much information as you would if you worked on it a bit at a time. You should also review these college study tips from time to time to make sure you’re incorporating as many of these into your studying habits as possible in order to stay motivated and organized. Make your mark(s). Review your notes after each class, adding keywords and questions wherever they make sense. Make notes in the margins of your textbooks or course readings that highlight the major concepts or keywords. Draw graphs or charts for yourself if they clarify the information or enhance your understanding of the material. Avoid multi-tasking. Your studies need your full attention if you are to retain information and succeed at your exams. Turn off your phone, shut down your computer and don’t watch television as you do your studying. It may mean leaving your room and heading to the library or another place that doesn’t offer the possibility of visual or auditory distractions. Use the buddy system. You can benefit from finding a study group. Working alongside other students committed to doing well in school is a motivator and also makes studying a less solitary pursuit. In a study group, you can compare notes with your peers, explain difficult concepts to each other, ask questions and talk about the exam. You can even exchange some good study tips! Set a regular time to meet so you stay on track. Mock tests aren’t mockery. Many textbooks have sample tests, and some instructors make tests from past years available to students so they can get an idea of what one of their exams might include. Take advantage of these samples and test your knowledge in advance. You’ll be able to identify any gaps, which will help guide your studying. You can also utilize online video learning to enhance your in-class study. Once you’ve put your study plan into action, you should be ready to perform well on exam day. Nonetheless, it’s worth having a strategy for test taking. Here are some next steps to add to your study tips for college students. Establish a good routine. It’s game day, so start it off on a positive note. Get proper rest and wake to a healthy breakfast. Do a bit of exercise to relieve tension. Pretend you’re an athlete preparing for a big game or an actor preparing for opening night and use visual imagery to imagine success. Look at the big picture. When you receive the exam, don’t dive right in. Look it over and create a plan of attack. Consider how you’ll apportion the time allotted. Do a data dump. Once you have perused the exam, write down any formulas you’ll need or any essential terms or keywords that will be helpful in answering the questions. You can also add concepts and other details that may come in handy. Skip, don’t stop. If you don’t know the answer to a questions, don’t agonize over it; move on to the next question. Save the toughest questions, especially those with low point values, for last. In multiple choice tests, bear in mind that your first answer is often the best option. Review your work. Before handing in your exam, look over your answers if there is time. Be sure you have answered all the questions so there are no possible points left on the table. Don’t panic. Remember, if you have prepared well and done your homework all along, you know the important information and should have no problem answering the questions that come your way. If you feel jittery, take some deep breaths and remind yourself that you have the necessary knowledge at your fingertips. It may seem overwhelming at first, but once you have an exam or two under your belt, you’ll feel more comfortable and confident at your ability to handle the stress of exam time. Develop good habits, refer to these studying tips, and success will be yours! Like it or loathe it, studying is a fact of student life, whether you’re in high school or university. In fact, it’s essential to success in education, so the sooner you make it into a habit, the more rewarding your educational journey will be. When most people picture studying, the image that comes to the mind’s eye is of a person sitting alone at a desk, striving to focus and absorb as much information as possible. However, more and more students are finding that there is an alternative means of learning the necessary information, especially when taking on the most challenging topics: the study group. What is a study group, you ask? Good question. It can be defined as a group of students with the likeminded goals of understanding challenging course material and getting good grades that meets on a regular basis to study together. It doesn’t have to be a big gathering of people—in fact, you may find that small group studies end up being more productive. But what you can be sure of is that with an efficient and collaborative study group, all members will benefit from having material that they’re unsure of clarified by someone else in the group. Plus, it helps with anxiety when everyone is working towards the same goal! A support system: Studying alone can be lonely and stressful. A study group offers a regular opportunity for camaraderie, motivation and support as you work on course material. If you miss class for any reason or need additional insights into the subject matter, you have a built-in set of peers who can assist you. Asking questions to fellow students is often less intimidating than approaching your teacher or professor. Shared talents: Students have diverse interests, talents and strengths. Bringing a diverse group of students together allows each of you to draw on others’ expertise and skills. Together, you can offer each other insight the individual might not have otherwise. Sharing strategies: When you work with other students, you can learn from them about other ways to study and develop your own best practices. Better coverage: Working as a group, you and your fellow students should be able to plough through more material than you would working alone. You can divide and conquer by dividing up the topics for study and each reporting back to the group. Better discipline: Participating in a study group that meets regularly will force you to keep on top of the subject matter, rather than cramming for an exam at the last minute. Having fun: Studying alone for hours becomes monotonous after a while. Group sessions are livelier and make the learning experience more fulfilling. No matter if you’re in high school or college, studying faster is a huge benefit. Let’s say there’s an upcoming test tomorrow so you settle down in your thinking chair with a mug of coffee as you plan to pull an all-nighter. So you carefully get your book, and turn it to see what will be covered on the exam and you read the first few lines. But to your horror, you wake up and see that you’ve slept for the whole night and you didn’t even make progress with that chapter you were originally reading. Ah, fret not! You’re never alone in this kind of situation. Other students also have dilemmas like not being able to concentrate, or they can’t effectively cram things inside their head. There are plenty other of issues—it’s horrible. There is no such thing as effective cramming. Sure, you get to memorize a few points and concepts, but after that it all goes away. So what’s the point of it anyway? It’s definitely a shortcut, but you will get lost in the longer run. Why do you cram? Well, there are plenty of reasons, that’s for sure.But one thing is very certain, and it all boils down to it: time management. It’s an essential life skill. Learn it and you’ll certainly go far. Impossible, you say? Think about this: every little thing around us is related. Different concepts are like a strand in a web, and the web contains interlinked concepts that you maybe already know about. This allows your ideas to work in unison to fulfill a purpose, allowing you to reach your goal. It’s always good to put ideas and concepts into diagrams. It makes it easier to understand, especially if you’re not a fan of reading lots of words. Everybody have their own sort of way of memorizing things, so try to make one of your own. This is very effective in reading processes and concepts. The more you get how things work on a visual level, the easier it is to remember. Taking down notes is probably one of the best ways to remember what your teachers taught you. If you don’t like taking down notes, doodle them! Don’t just keep on studying large chunks of material in a short time. Give your brain some time to process all the knowledge before you input another one into it. The more you keep seeing the same things, the more it’ll stick. Practice on re-reading your notes once in awhile, and see the magic unfold. During your allotted time to study, stay away from your pne, shy away from distractive sites and be more focused on what you need to be reading. It’s hard, but it’s needed. We know ourselves better than anyone, so surely, we also know when our brain is at its most receptive state. Make use of that knowledge! It’s not bad to get someone to tutor you. By admitting your flaws, you get to open yourself up to entirely new things. Develop your own style in learning, adjust to your needs, and know what time and how long you need to study. Our brain needs sleep for it to function properly—especially in retrieving memories that you have on that chapter you just read. Love what you do, and it’ll love you back. If it doesn’t work, find ways to make it fall for you instead. Ever heard that there’s strength in numbers? While studying with someone or with a group of students may not be everyone’s cup of tea, it is still worth a try. You get to brainstorm and share some ideas that you may not be able to think about when you’re alone. There’s nothing more effective that sharing what you know. It gives you a chance to practice the thoughts in your head, but it is also a way to integrate ideas into one big concept. Yup, since no one knows you better than yourself, then why not test yourself on what you know? Answer tests online, or simply figure out what you already know! Despite outlining how you shouldn’t cram in the previous section, it’s likely you will do it anyway. So let’s take a look at how to cram for finals if you’re left with no other options. Here are some last minute studying tips that can help you increase your chances in getting a good grade when you’re cramming for a test. There is absolutely no way you can do it well if you don’t think you can do it The mind is a powerful thing indeed, and whatever it puts its focus on can often manifest itself in the real world. If you’re absolutely sure that you will fail, then you may actually fail and you’ll have a lot more reasons to feel sorry for yourself. Don’t fall for that trap and stay positive. The effective use of time is a universal principle because time waits for no one and your body is a slave to it. You can’t blast through 12 hours of studying and expect your brain and body to hold on. Retention works best when conditioned in short bursts. You can make use of a modified pomodoro method: 50 minutes of study with 10 minute breaks for 2-4 sets or until you’ve gotten everything you need to study in your head. Having notes that hold the most important concepts is invaluable. Formulae, key terms, lists, and so on can be written down on flash cards by hand so you can review them quickly and easily. Also, the act of writing and re-writing them down helps your brain retain and recall that information. You can only get good at something by doing it over and over again, and the same can be said with tests. Give yourself practice tests with time limits to help you get good at recalling information under pressure, which can help minimize mental blocks over time. It helps to do run-throughs to rehearse your brain into recalling information. As simple and corny as that may sound to some, its effectiveness can never be overstated. If you’re having trouble in recalling a particular chunk of information that seems to not stick, try memorization techniques like using mnemonics and other cues to make it stick in your head. Break it down to its most essential bits and then try to memorize it with some sort of foolproof acronym or visual hint. Aside from writing and re-writing things down, you can also read your study material out loud. This works for some people who are more receptive to auditory learning, so perhaps it can work for you. Letting your brain rest is a crucial step in learning as it is the best time for the brain to process everything it has been put through. It is important for preserving memory and learning new things, so you have to get your 7-9 hours in each night. It is understood that sometimes you have to twist and bend your circadian rhythm quite a bit to get school work done, but you can never fully ignore the necessity of sleep. Hoarding study materials does not mean you have an advantage. You still have to study them, and having more of them actually makes it harder for you. Relying too much on highlighters is also a sign of bad study habits. Just because you’ve highlighted what you think are the necessary things doesn’t mean you’ll be able to remember them. Spending too much time building a study nest is unnecessary and even harmful. It’s true that you should have the best possible environment for studying, but obsessing over the study nest is a distraction that keeps you from actually studying. These tips give you quick last minute things for the best way to cram for a test. Try them out and in the future, better manage your time so that you won’t have to cram! Every single day is a constant struggle over maintaining one’s mental faculties. There are some days when we think we’re not at our best mentally for some reason, forgetting details and having lapses of concentration. It’s quite normal, and there are ways to improve on one’s memory and mental capacity. Since the brain is the most important part of the body, there are major reasons to take good care of it. By taking measures in boosting your memory, you take care of the rest of your brain as well. Being healthy isn’t just about taking care of the body, but of the mind as well. The body follows the mind, and being able to remember things is a big part of mental function. If you’re interested in learning how to do so, here are 10 great ways to boost one’s memory and mental capacity. It’s one of those shortcuts that people tend to put up when it comes to memorizing anything (which include methods such as use of acronyms, rhymes, imagery, chunking and organizing information, as well as the method of loci). It helps you improve memory by using a catchy way to remember things. However, mnemonic devices are more than just a cheap trick to get something to stick in your head, but something that you can do regularly to boost your memory. Your memory is like a muscle, and not using it regularly means that it starts to degrade and not be as useful when you actually need it. In order to use your memory at full capacity, you must be totally focused with whatever you are doing. This includes removing distractions since they can impede your capacity to remember details. If you’re finding it hard to remember things, then don’t make it hard for yourself and use tools to record what you have to remember. Some people may say that doing this makes you less capable of remembering on your own, but that’s just old people talk. By making good use of tools like pen and paper or your mobile phone, you actually engage your memory more as the act of recording it is in itself a good way to remember things in the first place. Doing memory exercises that keep the brain active even in your spare time helps with maintaining and even improving one’s mental faculties, and thus helps with memory. There are even studies that show how this can help prevent Alzheimer’s Disease, so it can certainly help with your memory if it can even stave off its biggest antagonist. You are what you eat, as a lot of people would say. Therefore, if you eat food that’s good for the brain (brain foods! ), then that would definitely boost your memory. Oily fish are great for the brain due to containing the essential fats that are also good for your heart and the rest of your body. It’s not just about mental exercise, but physical as well. When you don’t do regular physical activity, it’s common to feel lethargic and slow, so it’s safe to say that not feeling 100% in body also affects the mind. Having a regular exercise routine that you do consistently can help with your brain function, and thus your memory. This is almost a no-brainer since sleep is primarily rest for the brain. Lack of sleep can become a big problem for brain function and memory due to the nature of sleep deprivation and how it can reduce your capacity across the board. There’s no other way around it; if you need to wake up early, then you’ll have to sacrifice those late nights and get some much-needed sleep. Your mind and body will thank you for it, and your memory will work better as well. Laughter truly is the best medicine, and it’s great for maintaining brain health and improving memory mostly due to stress relief. Since stress is the number one deterrent to brain health, then it is natural that anything that alleviates stress should be good for the brain. As mentioned in the previous item, stress is quite bad for the brain. Having unhealthy relationships is something that will always hang over your head like the sword of Damocles. You’ll never be able to truly rest and relax while you’re locked in a bad relationship, so you must either break off or improve your relationships. But if you are into good relationships, then you should keep it that way as best as you can through various means. This sounds rather new age and some may even think that it’s not necessarily true. Perhaps it’s true that many people go on with their lives without having learned meditation at all, but those who have are arguably better with their memory and brain function, as well as their health and overall well-being, due to being able to sit down, still the mind, and meditate. These are key tips to help you boost your memory—which isn’t just useful for studying, but for your daily life as well. One of the most difficult subjects students face is mathematics. Learning mathematics can be quite tricky, most especially if you struggle remembering the fundamental concepts. Math is not like any other subject—you don’t need to memorize concept, dates, names or theories, but you need a good grip of understanding the basics. From the basic information, you will then be able to drive the complicated parts. Once you learn the basic, then you move on to the different branches of mathematics, and you will be able to learn each of them in school. One of these branches is algebra. It’s filled with variables and operations, whole numbers, fractions, decimals, and exponents. Plenty of students struggle with this course and frankly, not everyone likes learning algebra. Ironically, algebra is one of the most fundamental branches of mathematics, and once you master it, you will definitely ace the rest of the branches. So, here comes the million dollars question: how do you ace your Algebra class? The problem with most of the students is that they never take the time to get a head start. They just passively learn whatever it is listed down in the module in their classrooms. By doing so, they’ve restricted their progress only to the things being discussed in class. Do yourself a favor and study ahead as much as possible. Try to be 2 weeks ahead of the class. Once you get the course syllabus, try to see what sources you can find to get you the algebra help you need to learn upcoming topics on your own. Math isn’t a memorization class. You need to write down bits of information in the class. Most specifically, the formula and the detailed solutions. By doing so, you will be able to retrace how a particular mathematical problem or equation is solved. You will also learn techniques on how to solve the problems on your own. Homework is given to students not to annoy them because there’s a long weekend but to give them a chance to apply what they learn in class. It’s given to enhance your skills and build off the algebra basics that you’re taught, so seize that opportunity. Do this not just because it’s required but also to practice. It pays to familiarize yourself with the different kinds of equations, and word problems. Practice isn’t only for your mind. It’s also for your hands and your eyes. The more problems you solve, the more familiarized you are on how to solve them. It’s a body and mind coordination. The more you practice the better you are at it. You get to see more ways on how to solve them too. You may also want to look into getting an algebra tutor to help you with this. They may also be able to give you useful algebra tricks. Not understanding the question or the problem would mean not being able to answer it at all. You wouldn’t know where to start and how to approach it. If by chance that you do start without understanding it at all, then you end up making mistakes. Make a study plan and stick to it. You can also do self assessments just to check how far you really understand the material. You can also try teaching your classmates or friends about what you know. Studies show that this is one of the best ways to review and strengthen your understanding. All that studying would be nothing if you don’t keep your body healthy. Make sure that you eat on time as your brain would need lots of glucose to process information. You should also make it a habit to exercise regularly. This helps in improving blood circulation, which in turn helps you to focus a bit more on whatever it is that you are studying. Now that you know all these simple tips, you’re just steps away from being the top student in your class. Watch StudyPug video lessons to help you not just stay on track but also learn ahead! Size matters: Study groups generally do best with four to six members, allowing everyone an opportunity to contribute. Common goals: Be sure that your members are committed to attending and to doing the required preparation. Frequency: Plan to meet at least once a week for no more than two to three hours. Longer sessions will result in inattentiveness and too much socializing, while shorter sessions will be rushed and won’t allow for the full range of topics to be covered. Meeting space: Choose a spot where you can work undisturbed, ensuring no distractions. Most university libraries have group study spaces, and public libraries often have one or two rooms available. Try to meet in the same place at the same time each week so everyone in the group can build it into their schedules. Topics: Establish clear goals and objectives for each of your study sessions so that the time is used productively and members can prepare adequately. Leadership: Designate one person — in rotation, perhaps – to lead the session and keep everyone on track. Structure: Decide together how you’ll structure each of your study sessions. For example, you might spend the first part of the session reviewing the key concepts introduced in class during the previous week, followed by work on problems or questions. Finish by summarizing the work you’ve done during the session and identifying tasks that should be completed before you meet again. Tailor the structure of the session to the needs of your particular group. Preparation: Members must do the necessary reading and tasks specifically assigned to them in order for everyone to get the maximum benefit from participating. Opportunity: Ensure that each group member has a chance to actively participate in each study session. By teaching a concept to one of your peers, you’ll benefit by learning it and retaining it better yourself. Study groups aren’t for everyone, although they provide a chance for some practice at working in groups, which will become important in the workplace. There’s also another incentive to join: research shows that students who participate in study groups do better in the course than those who don’t. With all the study tips and info from this article, let’s say you want to go outside of your network of fellow students and teachers in search of online math help. With math being such a hard subject to understand for most students, it comes as no surprise that the market for math help is pretty sizable. Schools do what they can to teach math skills to students, but many still remain perplexed by all of what they usually see as numerical gibberish. For those who are able to hire math tutors, this difficulty get alleviated a bit (or a lot, depending on the student’s learning curve), but more can be done to truly make a difference. The Internet has made it even easier to gather information on various subjects, including math. If you’re having difficulty with a certain problem, then you can just look it up in a search engine and get resources, including pages with illustrations and detailed guides, as well as online videos with lessons and demonstrations on how to do it. You can also do some studying with online resources. If you have your curriculum on hand, then you can look up the various topics you need to get good at and find the best resources that show you how it’s done. Since most of this help is free, there’s no real financial investment; the only investments are time and effort. While it may be easier to find the information, you’ll still have to make sense of it and comprehend what’s needed. But sometimes, free online resources drawn by a search engine may be neither organized nor comprehensive enough for your current needs. That’s where online tutoring platforms like StudyPug come in, which are specialized services that have detailed curriculum on whatever you want to learn. In the case of StudyPug, you get to learn math in with it in various levels. It’s not free, but that just means it should do better in getting you up to speed. But before you cough up some cash for it, StudyPug has free videos available for preview so you know what you’re getting yourself into. You can compare it to other math websites to see how well it works for you. Once you do decide to make use of it, all you need to do is to go through the curriculum and get past whatever weaknesses you may have in math. Getting subscribed to StudyPug will not automatically make you good in math; that’s not how the world works. But you do get unlimited access whenever you want, so you can look up whatever you’re having trouble with or curious about, even when it’s late at night and you’re cramming for the test later that morning. It’s like having a math tutor on call at any time. That’s a common scenario wherein it’s not good for students in the long run, but they still do it because most of them do care about their grades. StudyPug is perhaps the best math help you’ll get online right now due to its simple-to-follow yet detailed curriculum and well-done video lessons that kids can follow along. Its math problems and math practice is comprehensive with detailed explanations. It should be well within most people’s budgets, and that results in the best online math learning platform on the Internet right now. You can learn more now!